There are several different types of plumbing issues you can encounter in your Olympia home, from small and easy-to-fix issues like dripping faucets and blocked toilets, to more complicated problems like major pipe leaks and reconstruction work. Some problems may be solvable at home, while other more serious issues may need the help from a professional plumbing service. The problem is, most homeowners don’t necessarily know they have a problem in the first place. And if they do, they don’t know what they need to look out for. This means preventative measures can’t be taken to reduce any further damage to their home from water, which is going to cost you a lot more money in the long run. At John’s Plumbing, we know that once you know what is likely to go wrong, you can start to put in preventative measures yourself. 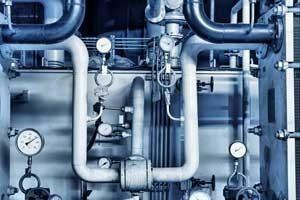 With that in mind, we’ve outlined the most common problems we see in homes, how to identify them, and how to solve them with relevant solutions to help you fix your plumbing problems today. The problem: Dripping faucets are by and large the most common issue when it comes to household plumbing. 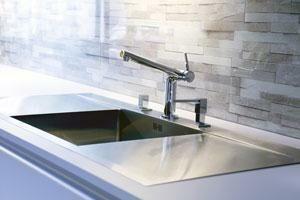 In fact, dripping faucets are so common that the problem is often overlooked and ignored. The problem is though, it’s not just a nuisance you learn to get used to. Just one leaky faucet can waste hundreds of gallons of water a year. This is both costly to the environment and your water bill. The solution: Provided you have the right tools, dripping faucets can be fixed by the homeowner, but if you’re unsure, we recommend you hire John’s Plumbing in Olympia today to get it sorted for you. The problem: When the water running from the faucet is pouring slowly, you may be experiencing low water pressure. Common in older properties, since low water pressure tends to be a result of leaking pipes that have become worn and corroded over an extended period of time. The cause: It could be that you simply need a new shower head, or you may have a leak somewhere else that may require further investigation. The solution: Call John’s Plumbing. Our trained professionals replace shower heads and check for leaks that may be causing the low water pressure. The problem: While leaky pipes can happen at any time, they most commonly occur in winter months when water in the pipes freeze and expand, causing the water pipe to burst. The cause: The break tends to happen at the joint of the pipe and tape can be used as a temporary measure to stop the issue from spreading further. The solution: To fix the issue more permanently, you may need to replace some of the pipe or the fittings that connect them. Failing to fix a leaky pipe can result in costly water damage in your home, so we recommend you solve the problem immediately with a plumber. The problem: A slow draining sink is usually a result of an obstruction in the pipes, which in turn causes a restriction in water flow. The cause: Common culprits for bathrooms include clumped up hair and toiletry products, while kitchen sinks tend to be a combination of food bits and grease. If you find your sink is running slowly, we suggest you address the problem sooner rather than later, otherwise it may become completely blocked. The solution: You may be able to use a plunger, sewer snake or perhaps baking soda to resolve it. But if that fails and the problem is deeper than that, you may need to call a plumbing service to clean your drains. The problem: A running toilet is the characteristic sound a toilet makes when it’s constantly filling up the tank, whether the toilet is in use or not. It’s not uncommon for running toilets to be left for months or even years on end without any servicing. While you might be used to the sound by now, the real problem is the water waste. The cause: Running toilets can happen for several reasons, and diagnosing the underlying issue is quite complicated and require expert knowledge. The solution: The best thing you can do is hire a a plumbing service as soon as you become aware of the problem to resolve the issue and save yourself money in the long run. The problem: Everyone knows what a clogged toilet looks like. You know, when you push the toilet handle and no matter how hard you flush, the bowl keeps filling up and it just won’t flush away. The cause: The blockage is usually due to a build-up of toilet paper and human faeces that haven’t flushed away properly. The solution: In general, blocked toilets are relatively easy to fix. To resolve it, you can generally fix the issue with a plunger or a sewer snake to loosen it up. If neither of these techniques work, the blockage may be more severe. If all else fails, the best thing to do in this case is call John’s Plumbing to unblock your toilet effectively. The problem: You know the water heater is faulty when you get in the shower on a cold winter morning, and out of nowhere the water starts running cold out (we’ve all been there!). If you’ve ever experienced a faulty water heater, the reason can be down to several things. The causes: It could be that the pilot light has gone out, which can easily be resolved yourself by relighting it. However, if the problem is that sediment has built up over time in the tank, or that the thermostat is faulty, you may have a more complicated problem on your hands. The solution: In either of these cases, it’s better to have a professional plumber from John’s Plumbing to inspect and fix the water heater for you. For all your plumbing needs, give John’s Plumbing in Olympia a call today.